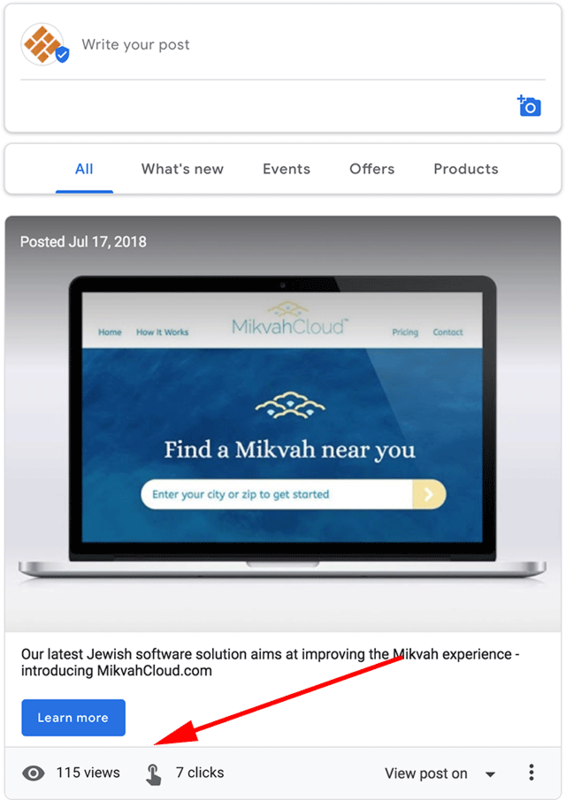 Allyson Wright, Community Manager, Google My Business, announced in a Google My Business Help thread the launch of a new insights, analytics report, within Google My Business to show how well your Google Posts are doing in Google search and maps. You will be able to see your Google Posts Insights data from within Google My Business and clicking on Google Posts. Right now I can personally only see the insights on an individual Google Post, which isn't new. Google said you will be able to see these insights not just for an individual post but also for all posts from the last week and all posts from the last month. Google explains that your summary shows your views, clicks, and the percentage change using a rolling period. The rolling period is the last 7 or 28 days, and can have a delay of up to 3 days. When looking at this summary of your Post Insights, you’ll see data from last week that’s being compared with the week before. Your posts received no views. You don’t have any posts. Your percentage change is over 99.99%. Google said there should be a "summary" that appears in a call-out with this data right on the Posts section of Google My Business. Forum discussion at Google My Business Help.